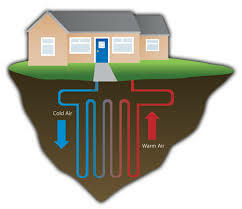 Heat pumps are being talked about by many industry experts at the moment. These pumps have the ability to provide high levels of efficiency without polluting the environment. Hence, as more and more people in the industry become concerned about the environment, the presence of these new pumps is a great sign that environmental friendless can be achieved by many leading firms in the sector. I have started to do my research regarding heat pumps, looking particularly at the energy efficiency benefits that they are able to generate. Hence, here’s how heat pump installations can make your business more environmentally friendly. 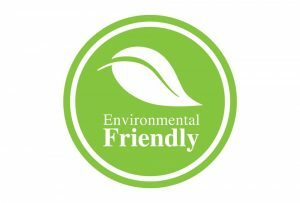 Environmental friendliness is becoming seen as a more important factor for profitability than other traditional markers. This is because the public at large is becoming more concerned about whether or not the products that they consume, as well as the companies that they buy from, are being environmentally friendly in their operations. Hence, lots of the biggest executives of some of the most renowned firms in the world are leading the charge for environmentally friendly operations within their companies. One very efficient way for certain businesses to become more environmentally friendly is to start using heat pumps. Heat pumps are very different from other types of equipment that is used in the industry. Heat pumps are able to produce the same results without causing high levels of pollution to the environment. There have been tests that have been done that have measured the pollution that was created by one type of equipment as well as the pollution created by heat pumps. The studies showed that heat pumps were able to produce much less pollution, making them the best piece of equipment for companies that want to emphasize their impact on the environment. There are many different types of heat pumps a company may choose. This is because there are lots of different manufacturers and suppliers on the market right now that are offering these pumps to businesses. The wide range of choice is a very good thing as it means that companies can find the best heat pump for their operations. It’s worth noting that heat pumps come in different varieties for different uses. Hence, the fact that one company can see lowered environmental impact through one particular brand and model of heat pump, doesn’t meant that another company would be able to replicate these results. It is advised that companies that want to make the switch to heat pumps start getting consultants to help them make the decision. Switching to heat pumps can be a very expensive ordeal, initially. Because of this, it makes sense that a company should hire some of the best consultants in the industry who are able to provide the most up to date information regarding which heat pumps are the most energy efficient and able to lower the environmental impact of the company. There have been unfortunate cases where companies bought a huge amount of heat pumps without doing the proper due diligence, leading to big losses in profit. Overall, there are tremendous benefits a business can enjoy by starting to use heat pumps. This is especially true with regards to lowering environmental impacts. Lots of the leading companies that are found in our industry have been taking charge to lower the levels of environmental pollution that they cause by using heat pumps in an efficient manner. Because of this, lots of other companies in the industry should start following this lead by procuring all of the great-quality heat pumps that are available throughout the market. The benefits of having lowered environmental impacts are often greater profitability for the company. Biomass boilers are becoming a very big trend in the industry at the moment. I have witnessed many of my colleagues talk about how their company is looking into investing in a large amount of these biomass boilers. These boilers are able to tremendously boost the energy efficiency of any corporation working in the industry because it uses new and innovative technology. Hence, I would recommend that businesses that want to lower their monthly expenses consider using these boilers. Hence, here’s how biomass boiler installations can make your business more energy efficient. Energy efficiency is becoming more and more important throughout a wide range of different industries. This is because energy efficiency dictates a number of different important factors such as monthly energy expenditures. Many companies need to have low energy costs in order to produce a favorable profit margin for their shareholders. Lots of companies that have started to face high energy costs have started witnessing lowered profits that lead to lower shareholder payouts, and thus a lowered valuation. These kinds of scenarios can spell very bad times for a company, hence energy efficiency should always be prioritized. Biomass boilers have been said to be one of the best tools for a company to use when they are undergoing an energy efficiency overhaul. I have had many consultants tell me that the vast majority of work that they have been assigned to in recent years has been regarding biomass boilers. Many tell me that lots of large industrial firms are looking to cash in on the savings that these boilers are able to generate. 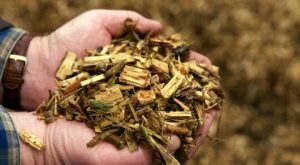 Looking at some of the financial reports of companies that have started to use biomass boilers, it’s clear that the benefits that can be enjoyed from this type of equipment are immensely large. For example, I witnessed that an industrial firm was able to cut their monthly energy expenditure by half through using biomass boilers. This industrial firm is a public company and they were able to stun and impress investors when they released their latest annual report with these lowered expenditure figures. Many shareholders were thoroughly impressed, which lead to a huge surge in the company stock price. 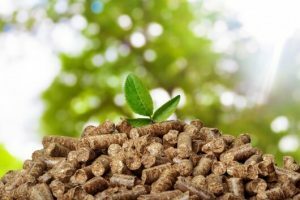 Thus, I was able to witness first-hand just how much of a positive impact biomass boilers can have on the valuation of a company, as well as a company’s future projections of profit. However, not everything I have heard about biomass boilers has been positive. This is because there are some bad manufacturers of this type of boiler. These bad manufacturers often create biomass boilers that are tremendously low in quality, often times the boilers will start to malfunction a mere few weeks after they have been installed. Hearing this made me wary about all of the different biomass boiler models that are currently on the market at the moment. It’s clear that any boiler could possibly be a bad-quality piece equipment, meaning that it’s imperative that businesses are able to quickly distinguish what kinds of brands of boiler are reliable. Thankfully, I have started to notice that there is a growing number of industry leaders when it comes to biomass boiler production. These industry leaders are starting to set the standard of quality that is to be expected from these types of equipment. Hence, I would advise that any new company that wants to start using these boilers get their boilers from these leaders, instead of risking it with an unknown brand. Overall, I think that the trend of using biomass boilers is nothing but good for the industry at large. As mentioned, lots of great profit benefits can be witnessed by changing production from other sources to biomass boilers. Solar panels are immensely great for energy efficiency. This is because using these panels, a business will be able to save a lot of money regarding energy bills. I have witnessed lots of companies make the switch from regular energy to energy that has been derived from solar panels. Over the long term, I have found that all of the corporations that switched to solar panels were able to get lower energy bills for their monthly operations. Hence, this is how solar panel installations is the perfect way for a business to become more energy efficient. 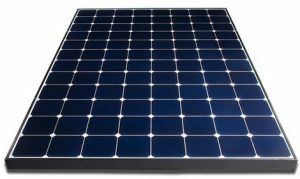 There are lots of different solar panels that are available on the market at the moment. Businesses have to be smart when it comes to the panels that they end up choosing for installation. This is because, although these panels can lead to great energy efficiency, there are certain duds that are being sold on the market. There are a couple of brands and models of solar panels that have been deemed to be very low-quality and very inefficient in terms of generating energy. Businesses have to avoid these types of products as much as possible if they want their solar panel strategy to work. Thankfully, I know of lots of great tactics that can be enforced to ensure that a business doesn’t end up investing in solar panels that are low in quality. 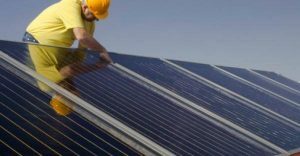 For one thing, there are lots of testimonials that have been published on the internet regarding specific brands and models of solar panels. These testimonials are often from business owners as well as homeowners who are looking to share to the world their experiences with a particular set of panels. Many times, everything from ease of installation to the effect on monthly electricity bills is outlined in these reviews. Using these reviews as a guide, any business will be able to focus only on high-quality solar panels. The confusing aspect of solar panels is the fact that although they increase energy efficiency and although they reduce energy bills, they require a high initial investment. This means that a company will have to save up a large amount of capital before they will be able to purchase enough solar panels so that they can replace their current energy sources. However, as has been mentioned, the original investment will be very much worth it in the long-run when lower energy prices are witnessed. Lots of companies have found that although the initial investment may be a bit difficult financially, the savings that the installations generate will pay for themselves in the future. I have yet to see one business that has regretted using solar panels for their business operations. I have met some businesses that had to go through a bit of financial hardship to get the capital necessary to procure these panels, but after this initial hurdle, all of these corporations were able to benefit from tremendously boosted energy efficiency. This means that there is a possibility for greater profits for all of the shareholders in the company, which is always a good thing. As mentioned, in the long-term, there really isn’t any downsides to going ahead and investing in new solar panels. All in all, I think that using solar panels is the perfect strategy for a business that wants to become more energy efficient Hence, any company that wants to lower their monthly bills pertaining to their operations should start looking into the many high-quality solar panels that are readily available on the market at the moment. 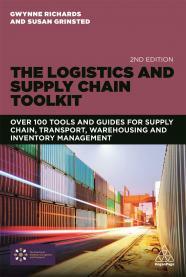 However, at the same time, they should be prepared for the high initial investment amount that is required.